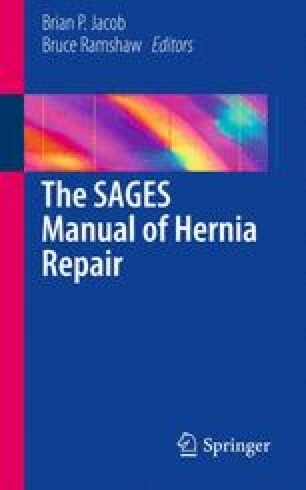 There is no standard approach to enterotomy management in the setting of a hernia repair. The factors affecting the treatment path include the severity and nature of the injured bowel, presence of gross spillage, and surgeon’s expertise and comfort level, which results in options for both laparoscopic and open repairs. As demonstrated in the literature, multiple options exist, and all are reasonable choices, as long as they are done safely, minimizing the risk to the patient.